The universe is a mysterious place and still contains many things that humans have not been able to find the answer. Are there aliens? Are they friendly or aggressive? I also do not know the truth about this, because I’m not a scientist. In Space Pioneer (MOD Unlimited Money), the monsters in outer space are real and your mission is to find and destroy them to receive bonuses. Become the bounty hunter is cool, become the bounty hunter in out space is cooler. Let experience it in this game. In Space Pioneer, you’ll be a gunner out space, like Star Lord in Guardian of the Galaxy, or you can relate to movies like Star Wars or Star Trek. 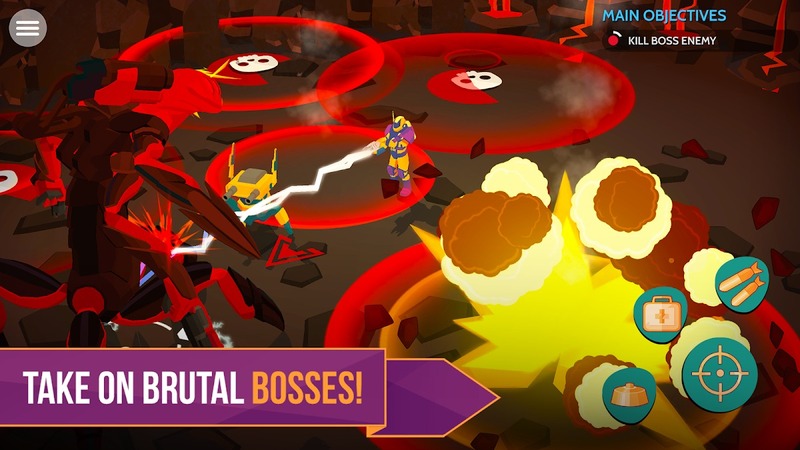 Your mission is to destroy the lair of monsters in space in exchange for bonuses. Nothing can make you feel scared, even the most ferocious monsters. Take down all the guns in your hand and show who is the best gunman in the universe! Space Pioneer is an easy-to-understand, easy-to-play shooter game that does not require too many player skills. Don’t despise, just one second distracted, you will be surrounded by monsters and no way out. The top-down view makes it easy to see the whole space around. One thing that you need to keep in mind when playing is the amount of ammunition, keep the distance with the monsters while replacing the bullets, using the Hit and Run tactics to deal with them. After completing the mission, you can board the spaceship to return to the home planet. There are two types of gold and gems. 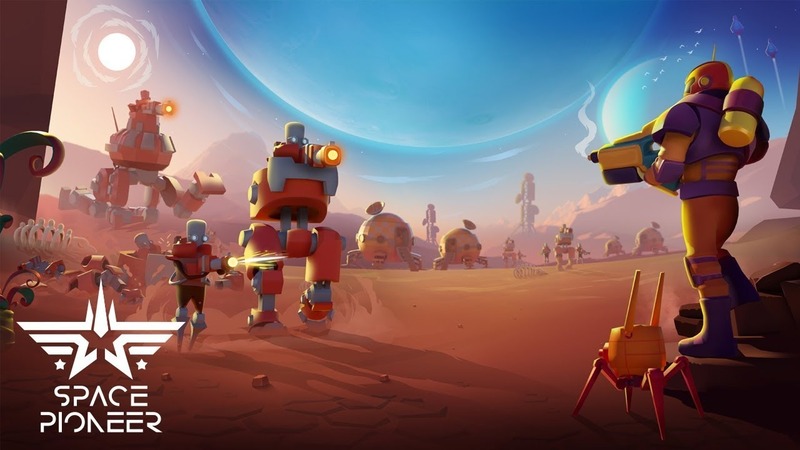 Gold lets you buy equipment and upgrade your weapons, and gems for you to build a base on the planet you live in. Don’t forget to loot in the barrels to find rare items. You need to use your left finger to control the moving character, the right finger to perform actions such as shooting, grenade launching or building the base. 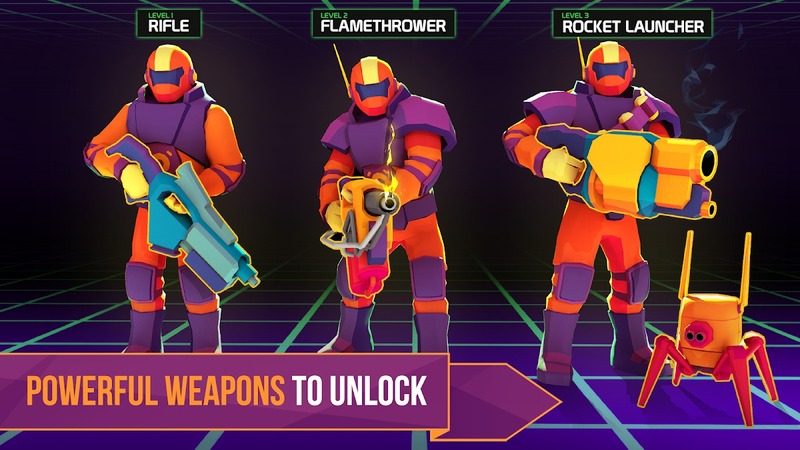 You can unlock a wide variety of weapons such as laser guns, flamethrowers, rifles, cannons, etc. Making money and looting items are ways for you to unlock new weapons. Each weapon has a passive skill and an active skill, you need to learn it to maximize the power of the weapon. The monster’s lair will be destroyed when you place the bomb on it. Note this! Some ads will appear when you play. You can watch the ads voluntarily to receive diamonds and gems. Watch some videos, so you have a large number of gems. Also, you can watch promotional videos to help character revive when killed, however, this only happens once a day. Space Pioneer has nice 3D graphics, but the game removes the unnecessary details to focus on the battle between you and the monster. The universe is designed in many different colors, though it is not so beautiful but I feel it’s enough for a compelling game. You can explore many planets with different cultures. The sound of the game is also very impressive and interacts well with the game. If you love the universe or are fans of Star Wars, Space Pioneer is a game you should try once. I believe that the game will take your free time right after the first game! You can download the game through the links below. 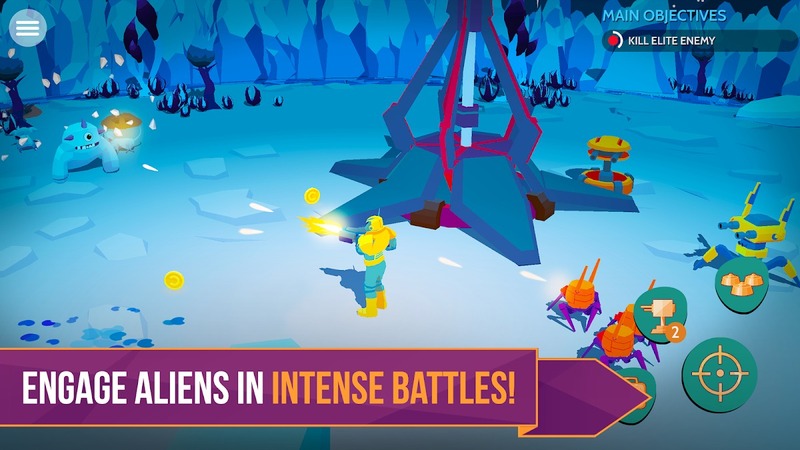 Space Pioneer MOD APK is ready to download! 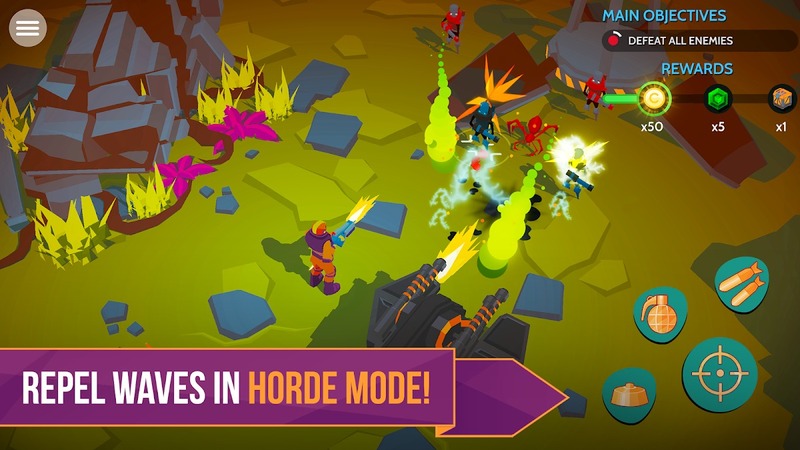 Depending on your needs, you can download Space Pioneer MOD APK or Space Pioneer Original APK. Or install from Google Play / App Store if you want.